Quick - any naughty bits?! 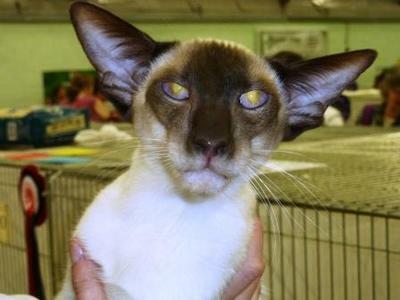 Siamazing Siamese Cats are based on the Fylde Coast in Lancashire. My name is Sheila Calloway, and I am a qualified veterinary nurse with over thirty years experience working with and keeping pets. 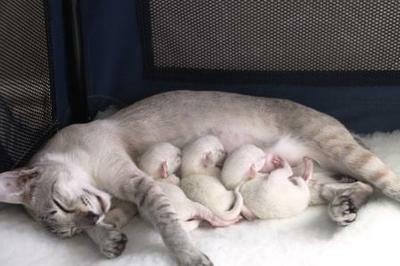 Siamese cats are my favourite - they are unique, loyal, and mystical - they simply never fail to amaze. All our kittens are reared with the very best loving care and affection in our home as part of the family with access to our safely contained garden to play – well, on fine days! Our babies will not be ready for their new homes until they are thirteen weeks old. 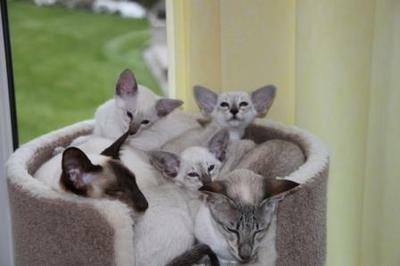 Lucky new owners will receive a full copy of the Pedigree documenting five generations of purebred Siamese. We are FIV/FeLV negative breeders and your new kitten will come fully inoculated, wormed and litter trained. 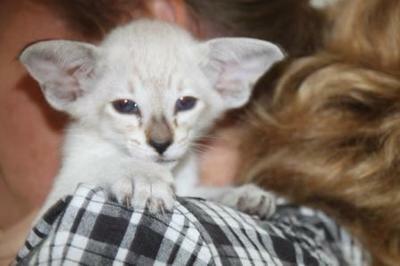 Each kitten will have six weeks free pet insurance and a kitten starter pack. We can also include micro-chipping and registration of your kitten with the national Pet Log Database. 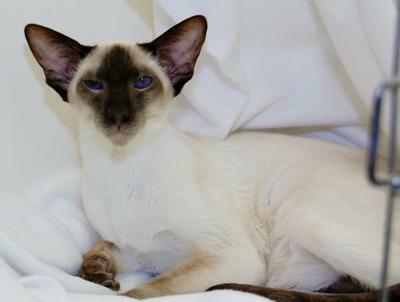 Due to the high demand for purebred show/pet standard Siamese cats, we will be contacting proud new owners on a first-come, first-served basis as soon as our kittens arrive, so please register your interest with us early to avoid disappointment. Kittens will be only be released to carefully selected, genuine and loving show or pet homes on the non-active GCCF register. Sorry, we rarely sell kittens for breeding purposes. Please note that we carefully chose the new owners and homes for our kittens to ensure they continue to live happy, content lives, with the very best of love and care. We look forward to hearing from you anytime to either enquire about kittens or just for a Meezie chat!